Musician and composer Sam Shalabi, known for his work with Shalabi Effect on Alien 8 Records and Land of Kush on Constellation Records, offers up his latest solo album effort titled ‘Music for Arabs’. The new album from Shalabi features sprawling compositions, featuring elements of traditional arabic music, infused with improvisational techniques and electronic elements here and there. Much of this sounds like the stepping stones that have resulted in some of Shalabi’s more well known work, in particular the first and self-titled Shalabi Effect album as well as 2011’s ‘Monogomy’ by Land of Kush, though in this instance there’s a much more personal feeling being given off by the album. ‘Music For Arabs’ encompasses many of Shalabi’s themes and ideas that have been expressed on previous albums, both in terms of the lyrics presented in the music and the instrumentals that are used for the tracks themselves. On his latest effort though, Shalabi seems to have really honed in on his personal style much more effectively than on some of his previous solo efforts. ‘Music For Arabs’ is every bit as experimental and unusual as some of Shalabi’s best and worst work, though this time round it all feels much more cohesive and much more understandable. Although ‘Music For Arabs’ might not be as strong as some of Shalabi’s other projects, it is easily one of his best releases under his own name. Whilst there’s many strengths to ‘Music For Arabs’ as an album, it still falls under the trap that Shalabi has often set for himself. As most of the music uses improvisational techniques, it gives much of the album a lack of structure that makes it a challenging listen at times. Combined with the fact that ‘Music For Arabs’ is made up of more longer sprawling tracks (as opposed to Shalabi’s previous solo-album ‘Eid’), this makes the album an even more challenging listen than some listeners would perhaps like. Those though who are fans of anything Shalabi has ever been involved in will find a lot to enjoy on this record though. Although there’s a lot to take in at times on ‘Music For Arabs’, the album is perhaps a much more gentle experience than some of Shalabi Effects’ more recent albums. Everything is as challenging as ever, but it sounds relevant and important. 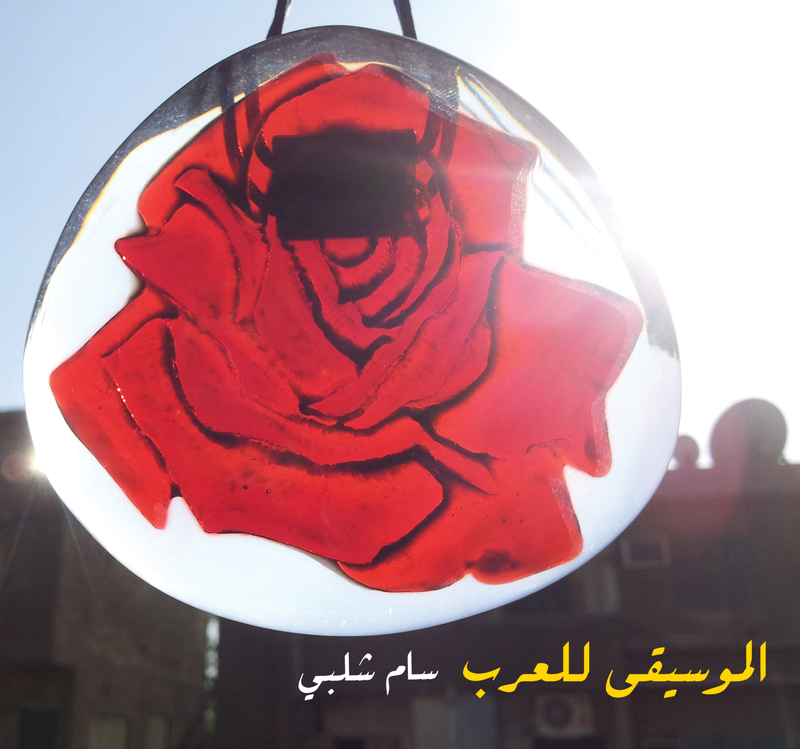 Musically, the album is brilliant, with Shalabi’s playing of the oud being as strong and powerful as ever (of course). It’s certainly an interesting record to see from Shalabi as it seems to offer more insight into the mind and personality of one of music’s most interesting and expressive musicians and composers working in today’s current music scene. Here’s to whatever he decides to do next! Sam Shalabi’s latest solo album ‘Music For Arabs’ is out now. Ambient artist Matthew Robert Cooper, working under the moniker of Eluvium teams up with wife and partner Jeannie Lynn Paske with the release of their latest project ‘Wisdom For Debris’. The new release, limited to only 200 copies, combines together a book, featuring many of Paske’s gorgeous artwork (much of which has been used as artwork for Eluvium’s releases), as well as a bonus containing a new EP from Cooper. The short album from Eluvium comprises four new tracks, all of which come across as some of Eluvium’s most intimate and gorgeous ambient tracks to date. Across the four tracks offered by this regrettably very limited EP, we’re invited to the swirls and swoops of ambient drones that Cooper so easily utilizes for his own style of ambient music. There’s something very typical and expected of the music featured on the short EP, but it all comes across as some of Cooper’s most intimate music to date. Each track is fairly lengthy, giving themselves time to express themselves to the listener well enough for us to paint the pictures that best match the music. Each of the four tracks are as strong as each other, all offering something different yet all being as equally relevant in the context of the album itself. 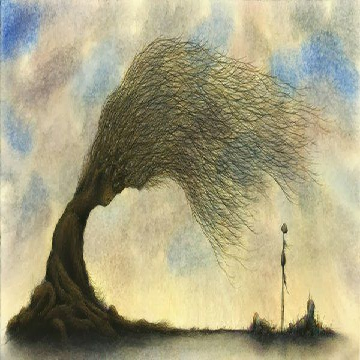 Fans of Eluvium will find the musical element of the release very inviting and very pleasing, which features some incredibly technical effects and elements, yet all of which come across in a very subtle and gentle manner. It’s a shame that this release has had such a restricted and limited run, as it is perhaps one of Cooper’s best releases under the Eluvium moniker. Each of the four tracks present on the EP come across as beautiful, lovely and warm ambient tracks, all of which come across as some of his best work in his current career. It is difficult not to like what is being expressed here, which is just simple and gorgeous beauty through the use of the ambient musical genre. Combined with the absolutely gorgeous artwork of Jeannie Lynn Paske, ‘Wisdom For Debris’ is perhaps one of the most special and intimate releases from Eluvium thus far. Rock outfit The Burning of Rome push out their latest full-album experience titled ‘Year of the Ox’. The new album offers up a highly enjoyable indie-rock experience that could perhaps be compared to British Sea Power, though perhaps much more raw in sound. On ‘Year of the Ox’, The Burning of Rome seem to go from strength to strength, pushing out enjoyable rock song after enjoyable rock song, resulting in a highly appealing album experience. There’s a lot of good little ideas here and there on the bands’ new album, helping make it a very strong album. Much of ‘Year of the Ox’ is made up of noisy guitar riffs and the other somewhat typical varying accompanying instrumentals that are commonly seen within the genre. What’s interesting though is how The Burning of Rome manage to really push themselves out on their new record, injecting enough of themselves into their own music to give it some incredibly appealing elements that helps to make the entire record a strong and enjoyable album experience. There’s a lot to enjoy from the band, whether it be their wonderful raw style of indie-rock music, or their brilliant presentation of their own branch of music within the genre. The Burning of Rome have many strengths to their music, though their latest album isn’t without its flaws though. Whilst a great many of the tracks present on the album are good and have a good number of positive traits to them, there’s only a small handful that have any lasting impression. Whilst the album doesn’t come across as being mediocre, there is something about most of the songs that’s a little off, as though they haven’t had as much effort and love pushed into them as some of the album’s biggest highlights. It’s rather disappointing, but there’s something forgettable about them in some respects. Whilst some tracks are perhaps not as strong as others on ‘Year of the Ox’, it seems that there’s been enough effort and talent thrown into the album to make it a strong and enjoyable album from The Burning of Rome. There’s something just satisfying about the somewhat raw style of indie-rock that the band dishes out on every song. The band seem to be enjoying themselves, which has helped push forward the music much more, highlighting all of their strengths in the various songs. It’s an enjoyable record, and one that fans of indie-rock will find a lot to enjoy with. The Burning of Rome’s latest album ‘Year of the Ox’ is out now. The latest album from country-rock band The Ree-Vahs, titled ‘Geordieland’ offers up a very typical musical experience that perhaps one would expect from the genre that the band push out for themselves. The new album features The Ree-Vahs presenting a somewhat quirky yet very typical version of the genre that sadly has had very little ingenuity or creativity injected in. Much of ‘Geordieland’ seems to meander slowly on without much meaning, resulting in a full album experience that comes across as very sluggish and incredibly boring. The Ree-Vahs’ new album certainly pushes out some enjoyable moments here and there no doubt. When it comes to the instrumentals of each song, and the vocal style of the bands’ lead singer, we can’t really find anything that is actually wrong. The band members themselves certainly seem to give off an impression that they’re enjoying themselves on their album, which is certainly enjoyable to an extent. ‘Geordieland’ is a simple country-rock album throughout, none of which seems to give off an impression of trying to outdo absolutely everything in the genre, but rather just contribute another enjoyable experience. Although The Ree-Vahs’ just want to have fun with their new record, it still comes across as one without any creative ideas or any ingenuity at all. It’s as though there’s no spark of life in any of the songs, making the whole album have absolutely no lasting impression. The band may have tried on their new record, but sadly any effort on their part doesn’t seem to come across at all. It seems that if The Ree-Vahs’ stopped existing tomorrow, it is likely that nobody would truly miss their music, as it seems to just disappear into the sea of country-rock music that they’ve so poorly tried to emulate in their own style. ‘Geordieland’ comes across as an album that simply isn’t worth bothering with. Sure enough. The Ree-Vahs’ are trying their best with their new album to present a fun and enjoyable country-rock experience, but there’s sadly absolutely nothing going for the band to make their music note-worthy. Perhaps ‘Geordieland’ will appeal to a few people, but there’s really nothing happening here that suggests The Ree-Vahs’ have made the music genre their own. ‘Geordieland’ is simply a dull and uninspiring album where the bare minimum of Country-Rock music has been pushed forward, with no soul pushed in to make the music truly their own. The Ree-Vahs’ new album ‘Geordieland’ is out now. Coldplay return with their sixth studio album titled ‘Ghost Stories’, offering up a new musical experience that certainly branches away from the bands’ previous and highly disappointing album effort of ‘Mylo Xyloto’. On their new album, Coldplay opt for some more brooding and darker elements to build up their music, incorporating almost ambient techniques to expand upon their sound. For the most part, ‘Ghost Stories’ comes across as an interesting album experience, that certainly seems like an attempt on Coldplay’s part to branch out their style and produce something new and interesting. It’s therefore a shame that there is absolutely no life and love to be found on ‘Ghost Stories’. Considering how awfully commercial and disappointing the bands’ previous effort of ‘Mylo Xyloto’ sounded, it’s certainly enjoyable to see Coldplay producing something a little bit more daring in some respects. 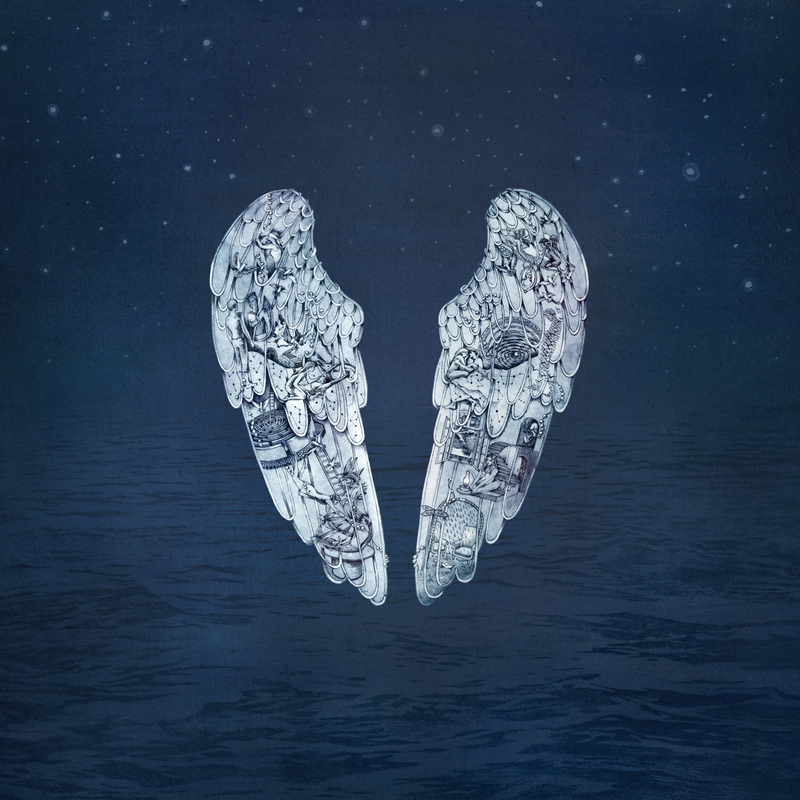 For the most part, ‘Ghost Stories’ doesn’t seem to tread as much of the same ground as some of Coldplay’s previous albums, and instead seems to come across as an attempt to harness and express Christ Martin’s own feelings. There’s an almost ethereal quality to much of the music on ‘Ghost Stories’, which is fitting considering the name of the album. Although there’s been an attempt on Coldplay’s behalf to actually produce something different, it seems the band have missed the mark completely. Much of ‘Ghost Stories’ comes across as hollow and empty, with there being absolutely no life in the songs themselves. It’s almost as though Coldplay are parodying their own style, which just goes to show how poor ‘Ghost Stories’ is as an album. Worst of all though is how the whole album seems to break away from it’s own style it presents for itself, by launching into the EDM-styled track of ‘A Sky Full Of Stars’, which seems to have absolutely no place on the album musically or lyrically. Considering the more subtle elements that the album has tried to present, it seems ridiculous to then go and include something that drastically shifts everything without any real reason for it. Perhaps Coldplay have truly began to run out of ideas, and are now just scrapping the barrel to get at anything they can in order to achieve commercial success. As a band they will certainly achieve the commercial success they’re striving for, but it’s come at the price of hollow and empty music that almost betray’s the bands old style of when they were really true to themselves, and expressed some real emotion. It should be said that as an album, ‘Ghost Stories’ is better than the bands’ previous effort, though considering how poor ‘Mylo Xyloto’ was, this is hardy a notable feat from the new album. Coldplay’s sixth studio album ‘Ghost Stories’ is set for release on 19th May 2014. 3-piece indie rock band Glory Glory return with their latest EP ‘So Long’. The new EP comprised of three simple tracks present and express the bands’ enjoyable branch of indie-rock music, featuring some interesting ideas and a fair few surprises here and there. Although ‘So Long’ is a very short musical experience, even for an EP, it seems to be enough to get a nice of idea of Glory Glory, about who they are, what they do and what they can do. There’s some interesting elements here and there that certainly make ‘So Long’ an interesting EP experience, though like so many of the indie-rock bands out there, there’s also the element of there being not much to separate the band from others of the same genre. Glory Glory do seem to have some great elements when it comes to their presentation of the genre. At the foreground of everything is the confidence and power of the lead vocals, which sounds almost Beatles-esque in some respects. It comes across as a very appealing element of Glory Glory’s music, giving it the life and vibrancy to make it stand out just that little bit more than most other bands within the same genre. The weaknesses though seem to come in the bands’ inability to make their musical elements stand out and sound truly interesting. The instrumentals of the song sound the same as so many bands that have preceded Glory Glory, making it sound like The Beatles if they were an average indie-rock band. Although there’s a rather average streak running through the EP, there’s still some very enjoyable elements on ‘So Long’, which is perhaps that little bit better than most bands. Most of what Glory Glory does seems to work well in some respects, making their music accessible and very enjoyable. It’s a shame that the band don’t seem to really utilize their strengths to make their music as strong as it could possibly be, as it would certainly elevate ‘So Long’s position in the indie-rock scene. At least we can enjoy the good and enjoyable elements that Glory Glory have pushed into their music thus far. 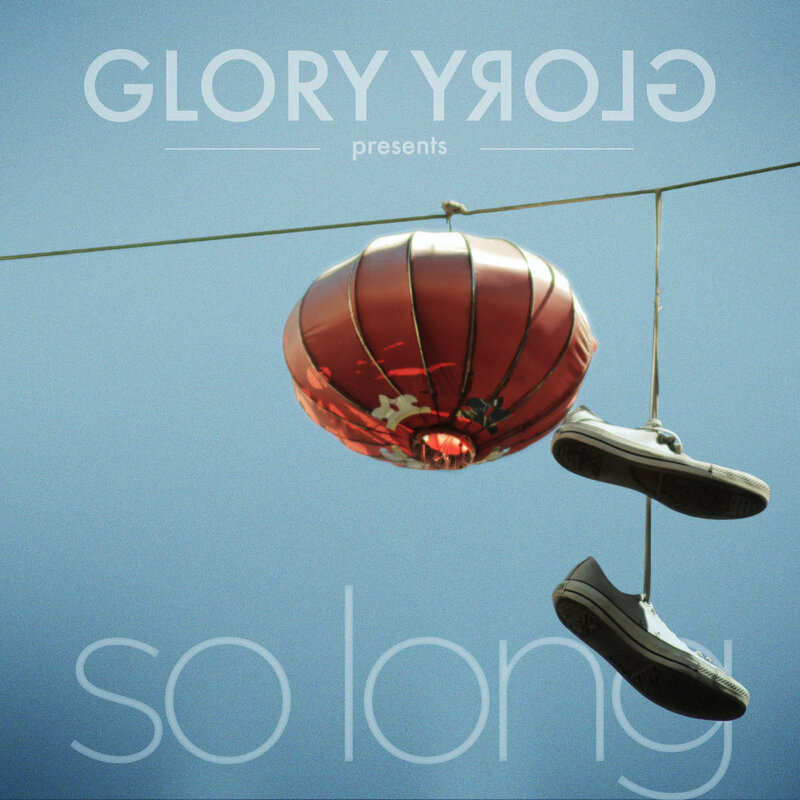 Glory Glory’s latest EP ‘So Long’ is out now. 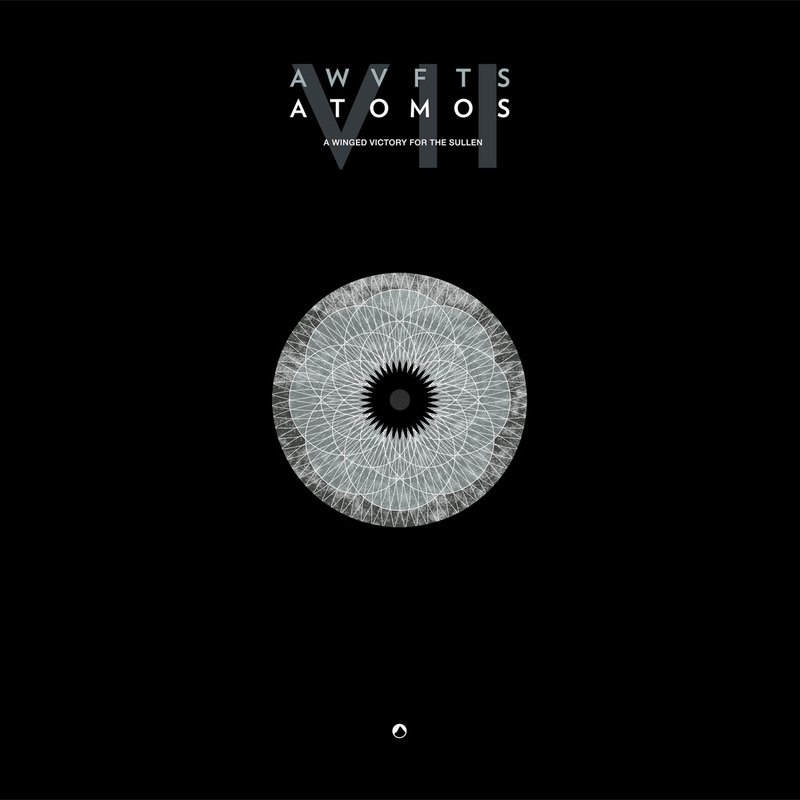 Composers Adam Wiltzie and Dustin O’Halloran return to their project titled ‘A Winged Victory For The Sullen’ with a new EP release titled ‘Atomos VII’. The new EP from the ambient duo acts as a precursor to a follow-up album happening sometime later this year. The new EP offers a gorgeous ambient music experience, broadening on the droning elements from the duo’s first self-titled release and incorporating some new elements and ideas that really bring more to the style. There’s a lot to be enjoyed from by A Winged Victory For The Sullen on their new release, which is a lovely surprise from a project that seemed like a one-off thing. ‘Atomos VII’ is made up of three tracks, including the title-track, an alternative version of the title track, and an out-take from the bands’ first self-titled release. There’s a nice element running throughout the EP, which offers a very typical yet highly enjoyable ambient music experience. The album itself contains many of the well-known elements of ambient music, yet it feels presented in an enjoyable and unique way that makes it ultimately their own. It seems though that the album’s opening track ‘Atomos VII’ offers a somewhat sluggish experience. The use of orchestral elements certainly adds more to the music itself, but it seems to have come at a price of making the track itself push along at a very slow and somewhat un-enjoyable pace. There is more enjoyment to be found in the alternative version, which comes across as one of the duo’s best compositions to date. There’s some interesting elements on ‘Atomos VII’, which certainly a strong ambient EP that serves the purpose of making us want more from the duo. It’s also interesting to see the duo broaden their own style, and incorporate some more ideas that perhaps are a little bit unorthodox in ambient music. Perhaps not all of these ideas have come together quite as smoothly as they both might have wanted to, but it’s at least an admirable effort. There’s still a wonderful flow to the EP, and a wonderful impression that the whole musical experience gives off once it comes to its close. A Winged Victory For The Sullen’s latest EP ‘Atomos VII’ is out now. Indie-synth-rock outfit Silhouettes prepare for the release of their debut album titled ‘Ever Moving Happiness Machine’, offering up a phenomenal synth-rock experience featuring brooding instrumentals and haunting vocal performances that suggest a great many things to come from this new and exciting upcoming band. The bands’ debut record ‘Ever Moving Happiness Machine’ follows on from a few EP releases, which now sees the band honing in on their own branch of synth-rock styles, presenting a very creative and incredible sounding album experience. On ‘Ever Moving Happiness Machine’, Silhouettes go all out in presenting their audience with absolutely everything it is they have to offer, and perhaps a little bit more. There’s an incredibly dark and perhaps unsettling element running throughout the album, tying together each of the songs as the album progresses along its track-list. There’s a lot happening with each of the songs, which all present some great creative all ideas, all of which contribute brilliantly towards the overall album experience. There’s some great ideas and dynamics being presented by Silhouettes in each of the songs, who seem to go for more subtle approaches to building up the music, rather than just going for the easier options. As an album, there is very little that’s wrong with ‘Ever Moving Happiness Machine’. Each of the songs seem to hold their own place on the album itself, with there being little to no weak moments that break the album’s flow. It is perhaps arguable that there’s a sense of one or two songs being a little bit too similar, or perhaps too downbeat and minimalist to work well as songs, though these particular songs seem to work well on the album itself in a larger context. Perhaps the ominous and downbeat style is something unappealing to particular audiences, but this is also one of The Silhouettes greatest strengths that will clearly work well for them. The Silhouettes have done a fine job in transferring the strengths from their EPs and presenting it in an album context that really works in their favour. ‘Ever Moving Happiness Machine’ comes across as a solid album that features a tremendous amount of strengths. Each track works brilliantly in the album’s context, whilst also featuring some great elements that makes them work as stand-alone tracks. Silhouettes certainly have a great number of strengths working for them, and we can only hope they continue to grow and grow as they’ve already done,. 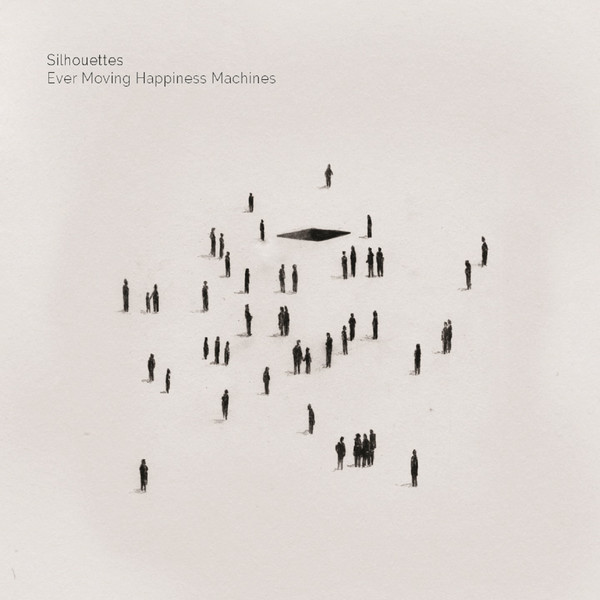 Silhouettes’ debut album ‘Ever Moving Happiness Machine’ is out now. 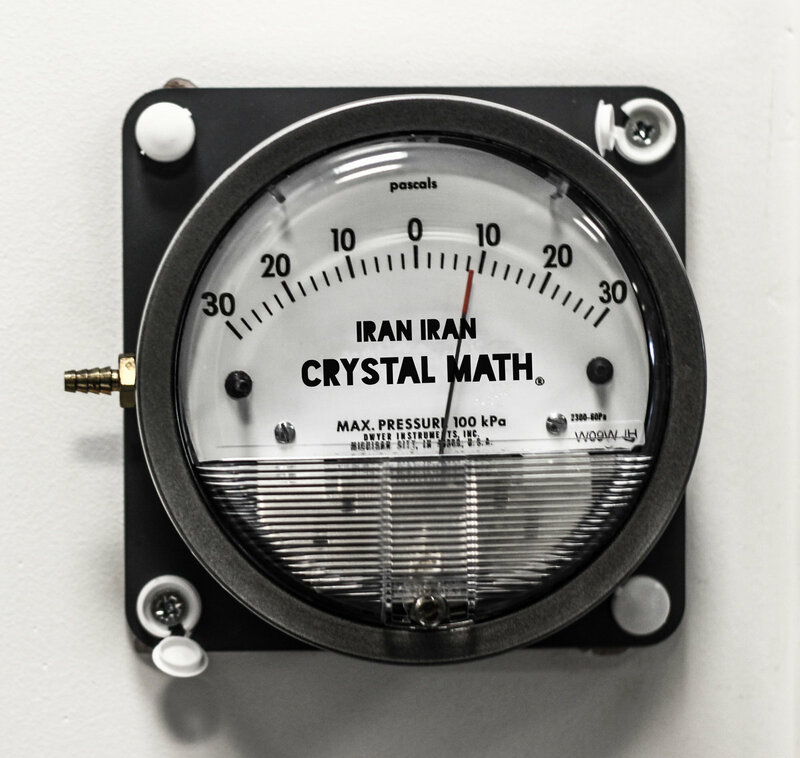 UK-Based Avante-Garde Math-Rock outfit Iran Iran present their latest EP experience titled ‘Crystal Math’. The new EP, made up of three tracks all named after actors, offers a very confusing, somewhat experimental vein of instrumental math rock that has a lot of appealing elements. There’s a certain element of madness running throughout the EP’s experience, though there is perhaps a cohesive element running throughout, giving it the structure it needs that makes it a listenable EP. ‘Crystal Math’ is an odd experience, sounding like a clashing of guitars, bass and drums rather than a joining of the instruments. Everyone seems to be doing their own thing, playing a confusing combination of chords notes and beats and yet somehow presenting it all in a cohesive way that somehow actually works. It is arguable of course that there’s not really enough going on to make this an PE experience worthy of any recognition, and there is some validity to the statement. When we step back and look at the three tracks that make up ‘Crystal Math’, there’s an element that they all sound the same, and there’s not even a lot actually happening within the songs themselves. It’s perhaps a little frustrating, as there’s some interesting ideas at play here, but it feels like they haven’t been utilized in the correct way. Then again, there’s also an element that Iran Iran are simply doing their own thing, without any inclination to do it ‘correctly’ by other people’s standard. Perhaps music as raw as this is a little bit too much for the average person, but there is still something admirable about it all, and oddly enough, something very enjoyable about it all. It might be impossible to truly work out what it is Iran Iran are doing with their music, but whatever the hell it is, it could perhaps be working for them. Whether it is something that will garner them attention, fame and fans is another question though. Iran Iran’s latest EP ‘Crystal Math’ is out now. Post-rock outfit Nanaki, now being the work of musician and composer Mikie Daugherty working under the moniker, presents the first album of material since 2004 titled ‘Afterlight’. The new album offers up five new compositions of varying and generous lengths. The new EP offers up a wholly post-rock experience, most of which is incredibly enjoyable, and certainly comes across as an expression of Daugherty’s own ideas and opinions. There’s a somewhat playful element to the EP as well, giving it an enjoyable streak, though perhaps it’s arguable that the EP comes across as less tongue-in-cheek and more immature. What’s interesting is the rather raw style of post-rock music being expressed by Daugherty on his latest EP. Each of the tracks don’t feel as polished as most post-rock bands would opt for, but interestingly this gives the music an appealing edge, making it an EP worthy of checking out (especially by fans of the post-rock genre, who will find a lot to enjoy on this new release). There’s a few moments on the EP as well that are absolutely brilliant, sounding as good as some of the leaders within the genre. The EP itself though is let down on one or two occasions by songs that don’t live up to the rest of the EP’s experience. Certain tracks, whose intentions are suggested by their track names, seem a little silly and pointless, and their position of the EP itself is rather questionable. Perhaps this is where the more raw less-polished style of Nanaki comes across as a weakness rather than a strength. There might be errors here and there, but there’s certainly enough that is happening on ‘Afterlight’ to make it an EP worthy of discovery. There’s certainly an element of it being much better than the average post-rock band, which is certainly refreshing to hear these days. Some of the tracks might not express as much creativity or ideas to make the EP a great experience, but there’s at least enough going on here to make it interesting. At times there’s some very interesting ideas, especially in the last track which is perhaps the album’s highlight. Hopefully we’ll get to hear more of the strengths of the album being utilized as ideas for future releases. Hopefully. 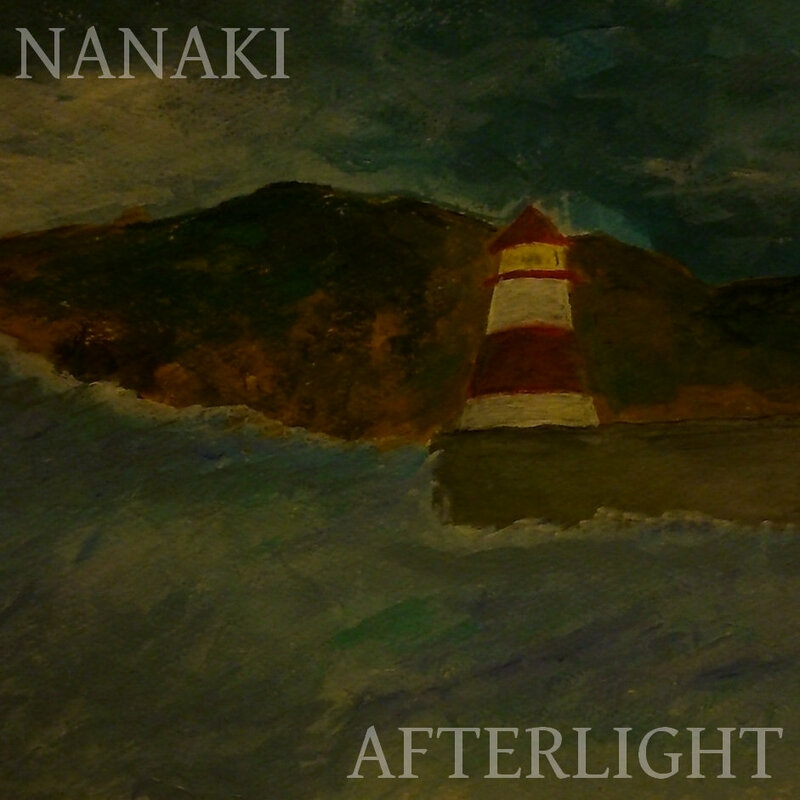 Nanaki’s latest EP ‘Afterlight’ is out now.